Social media platforms have proven to be excellent sources for customer acquisition, especially when it comes to business-to-consumer marketing. However, for B2B marketing most people leave LinkedIn untouched and that’s a big mistake as that’s where all the big boys hang out. Building a following at LinkedIn can be rather time-consuming so in this post, we are going to look at some bots custom made for LinkedIn to help you generate leads while automating the most tedious tasks. 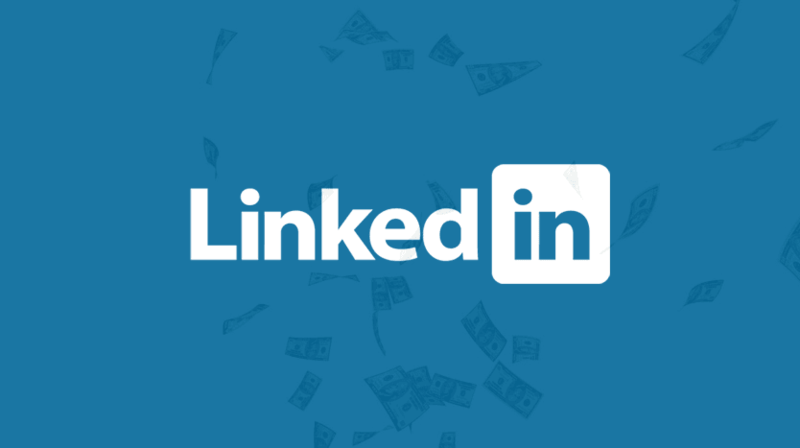 We already know that LinkedIn is an excellent source for leads for your business but few people understand what LinkedIn has to offer, and it’s a lot more than you think, while other social media platforms have evolved LinkedIn hasn’t been sitting still either. With the help of templates, you can send out invitations to the people in your so-called 2nd and 3rd group contact list. Do make sure that your first contacts are hyper-relevant to your business or you will end up with a lot of connections that won’t benefit you so it’s important to do the initial groundwork yourself before you let a bot take it over. After people accepted your invitation they come first contacts so that you can use LinkedHelper to automatically send them a friendly message. You can also set up a sequence of messages same as you would do with your mailing list. Just make you don’t spam them with all kind of nonsense or you’ll lose them as fast as you gained them. You are here to help them, so provide them with tips & advice to help them grow their business and in return, they are more likely to either recommend you or endorse one of your skills. Here’s where the bot comes in handy again. You can have it endorse other peoples skills automatically and a fair amount of followers will return the favor, just make sure start out with providing value before you blindly start endorsing people. The times that complete strangers would endorse you without even knowing you are rather small. While Facebook groups are largely dying they are flourishing at LinkedIn so once you’ve built a sizeable list of contacts the next best thing to do is to start a group and invite all your followers to join. Once again, there is no need to invite every person manually, you can let the bot take care of that so that you can spend your time on posting in the group and following up on your leads. When you follow thousands of people not everyone will automatically follow you back, although I’ve seen a rather high ratio of 50% of people that followed me back when I started to reach out. Still, it doesn’t look pretty when you follow 5000 people and only 2500 follow you back. Not much of a sign of an authoritative person on LinkedIn so you want to keep this in line. When people don’t respond to your invite you have to do something about that as LinkedIn will catch on when there are hundreds, if not thousands of pending invites. The bot will once again help you with that by canceling all invites if it hasn’t received a response within the time that you set yourself, in other words, another great option to keep your account in good shape. LinkedIn has quite a few limitations in place to prevent it from turning it into a huge spam fest, that’s why it’s smart to export your contacts and add them to your mailing list so that in even the worst case you still have a way to keep in touch with them. It’s also a fact that most people only check their LinkedIn profile just once a week while everyone does open their mailbox on a daily base. LinkedHelper is the first automation/lead generation tool that we are reviewing today but there will be more to follow, if you want to give it a try they are offering a free trial so go ahead and let us know how it worked out for you in the comments below. Not everyone is a fan of automating their business activities and I can fully understand that as there’s always some risk attached, you wouldn’t be the first to get his account closed by being a little to lose with the settings or maybe it’s not your thing at all. So here are some tips to generate leads without jeopardizing your account. While you are reading this you probably already have a profile at LinkedIn but there’s a lot you can do to professionalize it a little bit more, and that includes using it to blog to let people know about you, just don’t make it too personal as this isn’t Facebook. Instead, if you mastered a new skill make sure to add it to your profile, the same applies to major achievements like results that you booked for a client or perhaps you won some award. It works pretty much the same as on Facebook, you befriend people with your personal account, and then they see you are running a business and check that out. The same applies the other way around, they find your company page and would like to know who’s behind it so these things work hand in hand. Company pages don’t cost anything though it does open up the doors to advertising, more about that later, your company page would be the excellent place to post case studies, showcase your work, and obviously to show what you got to offer. This is sometimes easier said than done so you want to think this through. For example, we’re running a content marketing agency so it would make sense to have a lot of competitors in our first line of contacts. Why? Because the clients of our competitors are often connected to them and in our niche, not every company performs as it should so clients are switching from left to right. Another interesting audience for us are web designers, most web designers aren’t into search engine marketing but they love to design stuff which works great in both ways, SEO’ers need designers, and the clients from those web designers and developers often need marketing services. That’s literally a win-win situation for all parties involved. If you specialize in a specific niche, eg SEO for real estate companies it would make sense to connect with them first so that your leads are as targetted as possible so as said, give it some time to really think this through. Most people totally forget about this, but when you have a website it obviously ranks first for your company name but wouldn’t it be great if your LinkedIn company and personal page showed up at the second, and third spot? That’s where all your endorsements and recommendations are visible and most people give a lot of value to that. Especially if there aren’t a lot of other independent review sites in your niche where you can stand out. Optimizing your LinkedIn profile for the search engines isn’t all that hard, just make sure you insert the keywords you want to be found for and repeat your brand a few times. Also, make sure to share your blog posts on LinkedIn to make it as relevant as possible for Google and if you want to take the extra mile you can build links to your profiles so that you don’t just rank for your company name but also for keywords that tend to convert well. LinkedIn has a lot of authority so if you’re struggling to rank your own website it would be a whole lot easier to rank your LinkedIn page and generate a lot of extra leads from Google. If you’ve paid attention there are bots that you can use to automate this process, export their details and add them to your mailing list. You can invite these people to follow your company page. It also makes sense to add a follow button to your website so that it only takes one click for them to become a follower, and in return, your updates will appear more frequently on their timeline, in other words, a great way to keep yourself in the picture. Another way is to join other LinkedIn groups and share posts from your company page there, if you provide engaging content this is an amazing way to grow your presence without much effort. As a first rule, you want to make sure that the content that you post is engaging. If it doesn’t trigger an emotion people will just skip it and you’ll never get any action going. You know best what works in your niche, and if not a quick Google search will reveal that. Secondly, you want to make sure there are some visuals attached to this, that could be an infographic or even something as a simple as table chart with interesting facts. Videos also tend to work very well so there are plenty of options really. Finally, once you’ve identified some posts that received a lot of organic engagement you should consider promoting it through LinkedIn’s native advertising program. They offer a wide variety of targeting methods so this can work as a huge lead magnet to give your business the push it desires. If you’ve experienced with the Boost post function on Facebook you will know what I’m talking about, but on LinkedIn, it’s like on steroids! I think we’ve covered most of what’s possible at LinkedIn so I’m leaving it at that. Once you start using LinkedIn’s advertising program do make sure to keep a close eye on your analytics and make sure you have follow-up series in place and the needed pixels installed to track all the action. We will do another article on analytics as that’s a topic on itself, for now I’d say hop over to LinkedIn, complete your profile, setup your company page and start making some new connections!